It’s been quite an adventure over the past few months — moving out of our place in the country and learning how to live in a travel trailer in our son’s driveway. Little by little we’ve regained most of the luxuries we take so for granted everyday — amazing things like hot water, Internet, a flushing toilet, a sound system, and the ability to cook at the same time the heater is running without tripping a breaker. As I figure out how to prepare a meal in 1-1/2 square feet of counter space and where to put my shoes and how to organize the tiny refrigerator, I’m actually starting to feel like this little metal-box-on-wheels is home, and that I might be able to settle down and get on with normal life again (whatever normal is). But at least once a week (when my husband is poking around in the strange little toilet with a marshmallow stick while I’m watching YouTube video after YouTube video about unclogging RV toilets, for instance) I have a Living-in-a-Trailer-Was-a-Stupid-Idea Day. (We have so much to learn!) It’s on those days in particular that I have to remember the context of what we’re doing. First of all, this grand experiment has put us within 10 minutes driving distance of our church and all but one of our children. That is a tremendous blessing! It’s also given us the privilege of seeing four of our grandchildren and their ever-gracious-and-patient parents every day. It has given me a new opportunity to see just how impatient I still am. I may not have a flock of children testing my character anymore, but I have cupboard doors that won’t open unless you twist your wrist just right, holding tanks that fill up at the most inconvenient times, a country-raised dog who is learning how to walk on a leash, and a host of other new little challenges to conquer. And I have to keep reminding myself, this is temporary. We won’t be living like this forever. In fact, we won’t be living like this for much more than a year (hopefully 🙂 ). Someday, after lots of work and decision-making, we’ll move into our new house, and will enjoy living right next door to another son and his dear family. In a tiny, tiny way God is giving me a picture of many of the truths I’ve been studying over the past few weeks as I’ve been preparing for our study of Romans 8. I can rest in the fact that there “is no condemnation for those who are in Christ Jesus,” even while I’m still seeking His help in overcoming my sinful impatience or discouragement. I’m not earning my salvation. I’m resting in the salvation Christ has already won for me, and seeking to submit to His loving, sanctifying work in my life (Romans 8:1). I can groan along with the rest of creation, eagerly awaiting the day when we all will be set free not only from the futility of toilets that clog and breakers that trip, but from the much deeper trials that come with living in a broken world with other broken people (Romans 8:19-23). I can remember that the little trials of life are leading to something better, just as the much greater “sufferings of this present time are not worth comparing with the glory that is to be revealed to us” (Romans 8:18). We have much to look forward to! Join me while we study Romans 8 together! God has so much to teach us. He will change us as we study His Word. If you have never studied your Bible, you can learn how. If you don’t think you have time, just give it a try. I’ll try my best to keep lessons short — 5 to 15 minutes a day – because I know how hard it can be to make the time, especially while you’re raising little ones. Gather some colored pencils, a pen, and a notebook, invite some friends to join you (they just need to subscribe to this blog to receive the lessons), and watch for a lesson in your inbox each morning. Be sure to join the Busy Mamas Facebook group, where you can ask questions, share insights, and learn from others who are also doing the study. If you want your children to learn along with you, try out some of the children’s lessons that are included in each day’s lesson. Pray! Ask God to make this a life-changing time in His Word. For this first day of our study, let’s listen to the words of Romans 8. Invite your family to join you as you listen to John Piper’s stirring reading of the chapter. These are powerful, reassuring words! What verses stand out the most to you as you listen? Good morning, Pam! I read through Romans several times yesterday in preparation and wrote down some verses that spoke to me. Vs. 18 I lost my mother a year ago 3 weeks before I gave birth to our youngest. Since then, God has been doing some pruning to the family tree. Very painful but I am starting to see His plan. Vs. 28 I have had 3 prayer points for our family for 10 years and with the above happening they are all coming to fruitation. Vs. 37-39 A gentle reminder that through the painful pruning and ever present waiting, He has me and my family. And that is the sweetest place to be! PS After participating since your first online Bible study, this morning’s post is the first I did not receive. I resubmitted my email addy just in case which brought up a reminder that my address is already registered. I have been receiving a the other posts. Just curious?!?! Maybe I will get it later?! Mama of 4. Missionary to Ireland. By chance I came across this today, (thankfully). I Subscibe to your blog, but obviously I am not getting them anymore. I tried to re subscribe, but it tells me I already am. Robyn, there seems to be some sort of problem with the delivery from our end at the moment. We’re working on figuring out what is wrong. In the meantime, be sure to join the Facebook group (www.doorposts.com/blog). You can and click the link for the day’s lesson there, or go directly to the blog at doorposts.com/blog. Wow oh wow was that reading powerful!! So looking forward to digging in to this chapter. Thank you for finding and sharing the reading by John Piper. I plan to listen to it each day to keep my focus on what is important. Looking forward to getting caught up and resting in God’s word with some in-depth thinking/meditation along the day. PS We considered living in an RV, with the kids, during a remodeling. Plans changed. Mom of 4, homeschooling 2, grandma of 1 and another to come in Feb, working from home. Thank you for the efforts you put in to help us busy moms stay in God’s Word. Pam, our family is on the exact same “adventure” as you but with 2 toddlers!! 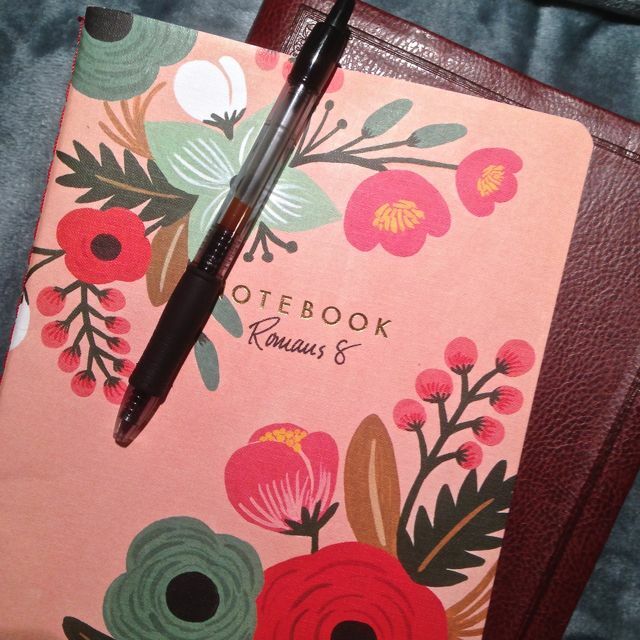 A friend shared this blog with me and I cannot tell you how much I needed this as I am also having days of impatience with grey and black water– well, other things too! 😉 I so enjoyed the proverbs 31 study and even though I am behind I will be trailing along. So amazing to find someone in a similar (temporary for us too) situation. Always make sure that an SEO agency is open about their methodologies used – any secrecy could mean they are using “black hat” techniques. In order to gain online visibility it is recommended to use a good SEO services provider. To make sure that you are getting the best techniques for your business, better make sure that you have chosen the best SEO Company for your business needs. beautiful vera bradley shoe and super service….thank you!! !